Accidents happen. Whether you're talking about hypoallergenic waterproof mattress protectors, waterproof fitted sheets, or protective pillow cases, most people associate these type of protective products with babies, kids, and young children. Obviously, there is good reason for that, as these younger demographics are much more prone to overnight accidents and foreign substance spills. However, they're not the only ones who could use a little extra protection sometimes. Hypoallergenic waterproof mattress protectors can be a great investment for virtually anyone concerned about the condition of their bedtime accommodation. 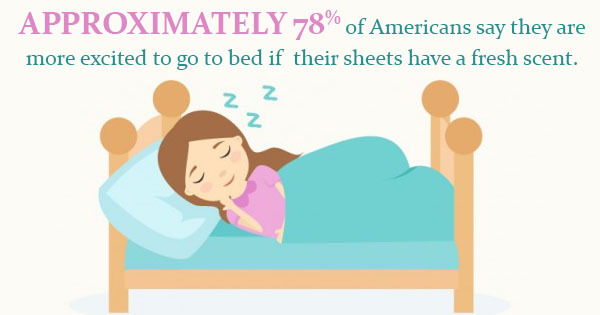 Approximately 78% of Americans say they are more excited to go to bed if their sheets have a fresh scent and 75% say this allows them to get a more comfortable night's sleep. At B-Sensible, we offer a variety of hypoallergenic waterproof mattress protectors with varying thread counts, around 400 being a softer, lighter feel while 800 is denser. Here are three other groups that could benefit from investing in a hypoallergenic waterproof mattress protector. Elderly: One of the facts of life is that, unfortunately, as people get older, they lose more and more control of their bodily functions and normal habits. Getting up in the middle of the night to go to the bathroom can be difficult on a physical and instinctual level for the elderly and senior citizens. That's why having a waterproof mattress protector can save time, money, and reduce the overall cleanup necessary when accidents inevitably do end up happening. Women Who Suffer From Urinary Incontinence: Urinary incontinence is a somewhat common condition among women of various age groups. It can come about for a variety of different reasons. In fact, there are four main types: stress, urge, mixed, and overflow. Usually, the accidental leakage is minimal, but it can still be an embarrassing, annoying event to deal with. Hypoallergenic waterproof mattress protectors can help put women who are dealing with this more at ease when they lie down for bed. Pet Owners: Of course, humans aren't the only creatures that have accidents. As pet owners know, one of the worst aspects of owning a pet is properly potty training them. Whether they're a young animal still learning or an older one struggling with some of the aforementioned problems, pets can have accidents, too. This can be a big problem for anyone who allows their pet to sleep in the bed with them. Save yourself some trouble while still allowing your furry friend to slumber with you by investing in hypoallergenic waterproof mattress protectors.